Changes are always occurring around us, if processes or practices sit idle for too long they become outdated and less efficient while everything else continues to improve. 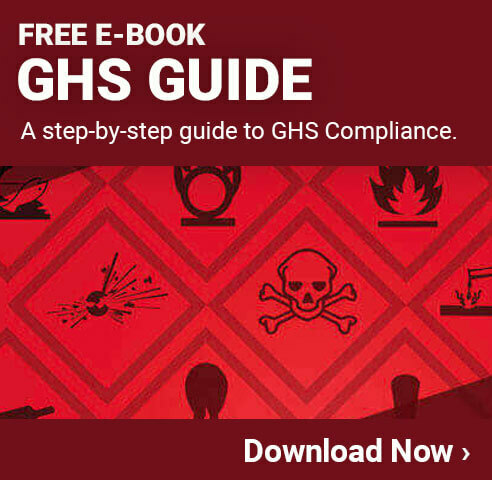 OSHA’s GHS HazCom Standard is no exception to this rule. The OSHA HazCom Standard is in place to protect employees from exposure to hazardous chemicals through the use of a chemical labeling and identification system. The previous version of this Hazard Communication Standard (HCS) was more performance-based, and this allowed chemical manufacturers to provide chemical related information in any format of their choice. However, the new Globally Harmonized System (GHS) aims to protect employees and employers further by creating a more standardized labeling system. Under this new system, chemical labels will need to convey specific details regarding the effects of the particular chemical, as well as the required standardized label elements including hazard class and specific category regarding health, environmental, and physical hazards. Implementing standardized labels featuring this essential safety information will not only help to reduce injuries related to chemical negligence and accidents, but will also create a time savings as well. Employees will no longer have to waste time trying to decipher chemical based information on the manufacturer’s unique label format. Instead, they will be able to quickly identify the chemical and its related hazards quickly and efficiently under the new GHS standard. In other words, label ambiguity will be greatly reduced. OSHA estimates the revised standard will help prevent 43 fatalities and 585 injuries and illnesses while saving an estimated $266 million a year by reducing safety and health risks. In addition, OSHA estimates annualized benefits of $585 million a year from cost reductions and productivity improvements attributable to HCS revisions. These improvements in health, safety, and costs will be more than worth the effort and related costs associated with implementing the new GHS HazCom Standard. However, the new GHS standard is not in immediate effect, instead it will roll out in a few different phases stemming from December 1, 2013 to full implementation by June 1, 2016. The implementation will follow the below general outline. Dec. 1: Requires employees to be trained on the new label elements and safety data sheet format. June 1, 2015: Compliance with all modified provisions of the final rule. Dec. 1, 2015: Requires distributors to only ship containers labeled by the chemical manufacturer or importer with updated GHS labels. June 1, 2016: Update alternative workplace labeling and hazard communication programs as necessary and provide additional employee training for newly identified physical or health hazards. Source: EHSToday – Are You Ready for OSHA’s New HazCom Standard? Just as nutrition labels on food were standardized in 1990 by the Nutrition Labeling and Education Act (NLEA), now the labels on industrial chemicals will also be labeled for easy understanding and reference as well. Not only are standardized labels easier to read, but they are also easier to understand which is imperative for safety when dealing with chemicals.